Dog Tested Positive For Heartworms? It is intriguing how an insect of this small a size can be the reason of this big a disease in dogs. Though, if we give it a thought, all diseases are spread by almost microscopic germs, bacteria and viruses. Anyway, here we are going to discuss about heartworm infestation which is spread by nothing else other than an infected mosquito. If you hear anybody saying otherwise then it is purely a myth. 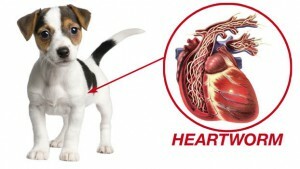 What To Do When Your Dog Has Heartworms? What your vets may do? Your veterinarian may immediately begin the treatment which may first include the drug ivermectin. 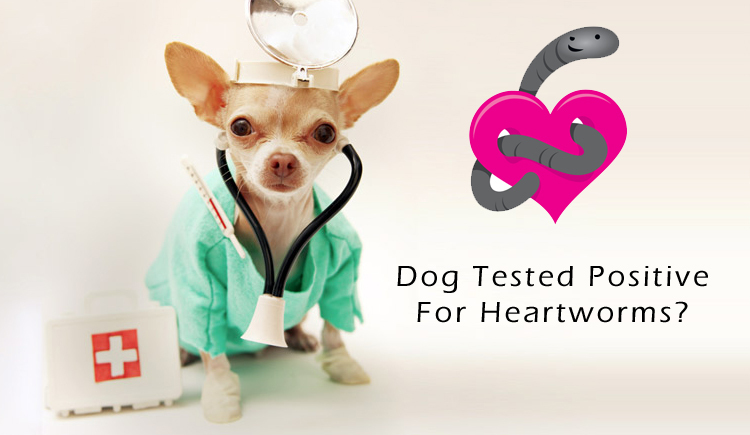 This drug destroys the immature stages of heartworms that have not yet reached your pet’s heart. All the larval stages flowing in the circulatory system may also get killed on administering ivermectin. The only thing you may need to keep in mind is that this process will not get rid of heartworms immediately as it acts only on the primary stages of the parasite. Thereafter your vet will run several tests on your pooch which may include blood test, x-rays, liver, lungs and kidney tests. These tests are conducted to check whether all the organs are functioning properly and that your pooch is capable of enduring the effects of the next drug which most probably would be Immiticide. After conducting these tests, you vet may decide whether to go ahead with the treatment or stabilize your canine’s health as anemia and other issues may pose a problem during the treatment. If the vet thinks that your dog would be able to go through the procedure then he may start with the treatment using immiticide shots. What may happen after the heartworm treatment? Veterinarians suggest to observe the treated pets closely and report them if you find them anything unusual about them. The usual symptoms that you may see in your treated pets are lethargy, cough, less appetite, depression and fever. These symptoms in severe intensity, difficulty in breathing, bloody cough and bluish gums may require immediate veterinary assistance. The first few weeks after the shots are the most critical. Pets tend to get weak during this time. It is advised to keep the treated dogs as still as you can. Cut all strenuous exercises from the schedule. Minimal walk for very few minutes may be okay, but only after seeking veterinary advice. Keep your pooch in a crate and don’t forget to put on a leash when you relieve him. Fever in treated canines is common and thus it is important that you keep your home cool and keep your pet hydrated. These are the things that you might have to be prepared for if your pooch is tested positive for heartworms. To avoid this fatal situation vets recommend using heartwormers like Heartgard Plus, Sentinel etc. all around the year. Food Is The Source Of Nutrients- Balancing Nutrition Is Important!